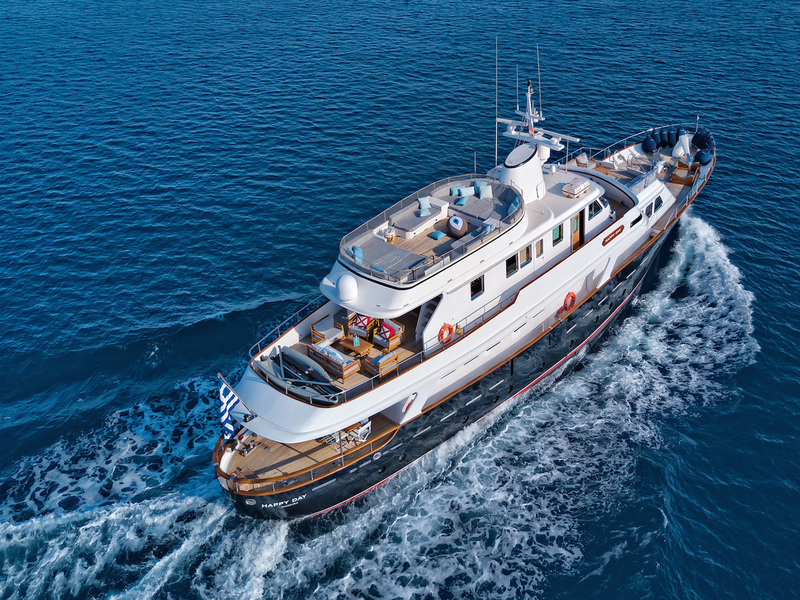 Motor yacht HAPPY DAY (Ex Happy Hour) was launched by Italian shipyard Benetti in 1969, the 31.5m (103.3ft) steel double ender hull is reminiscent of the fine craftsman’s ship consistently produced Benetti. 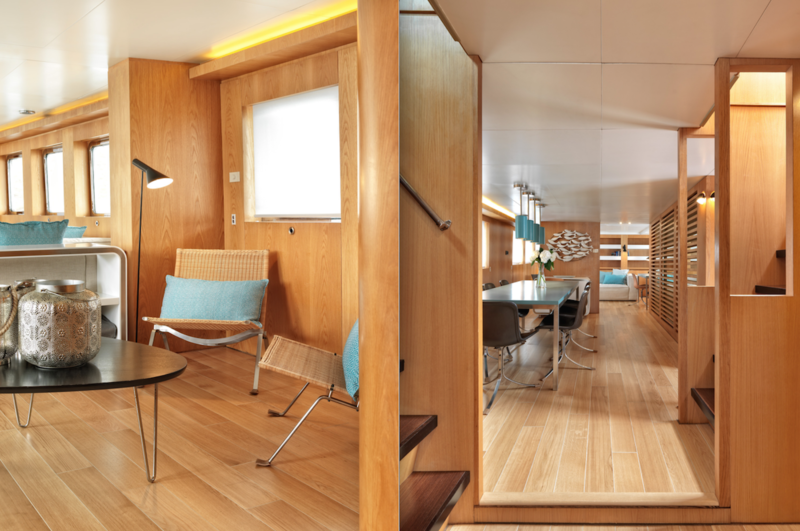 In 2017 HAPPY DAY underwent a complete refit, including all new interiors by Frederic Mechiche design. 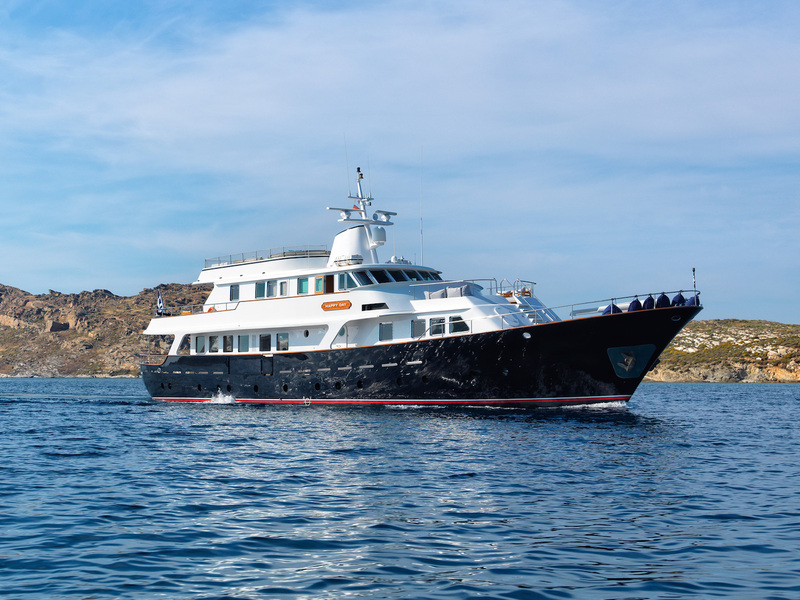 She is available for crewed yacht charter, offering modern and spacious accommodation for up to 8 charter guests in 4 en-suite cabins, or quayside events for up to 40 guests. 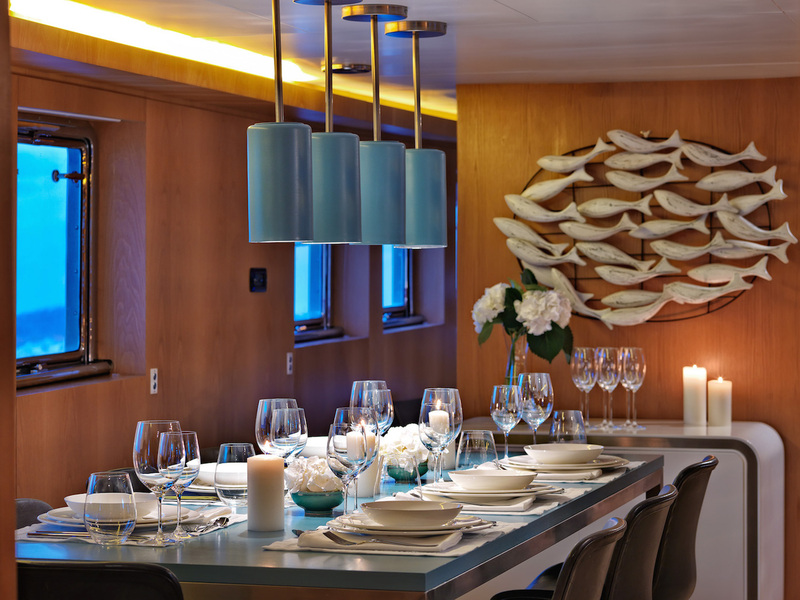 Charter yacht HAPPY DAY has a chic interior with a truly minimalistic décor. 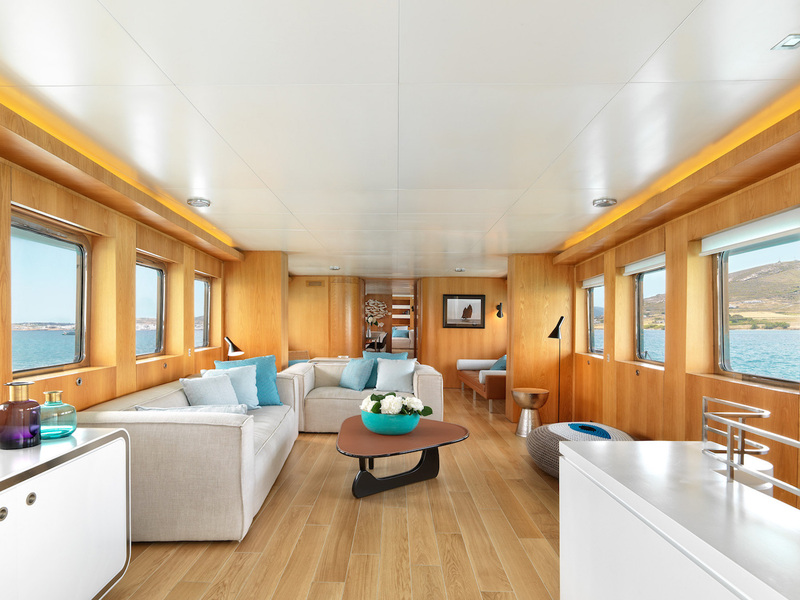 On the main deck entering through double wooden doors, guests are greeted by a spacious salon with crisp white soft furnishings with dark accent pieces, light-toned teak panels and large windows ensure ample natural light and an open feel. 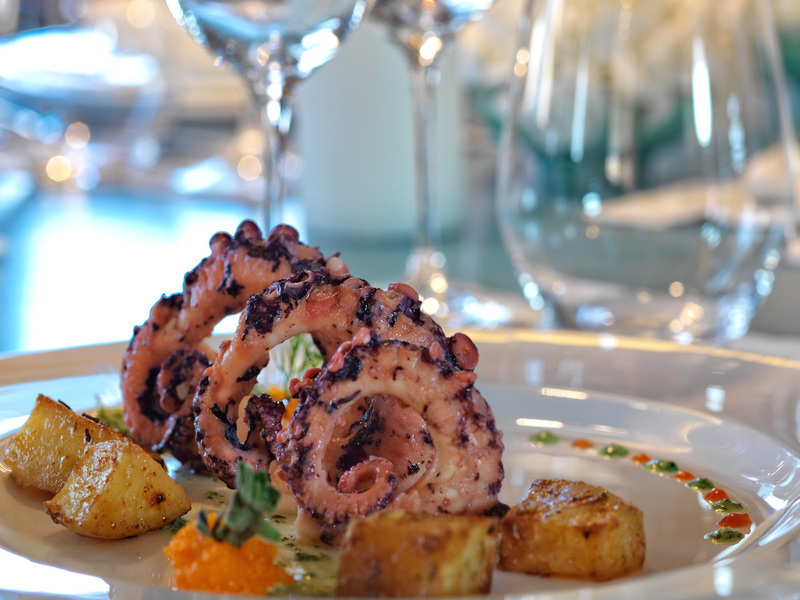 Forward of the salon, the formal dining space is separate, followed by a study with library and media room. 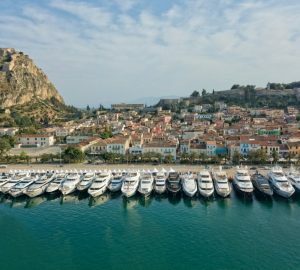 Exterior living spreads over 3 decks. 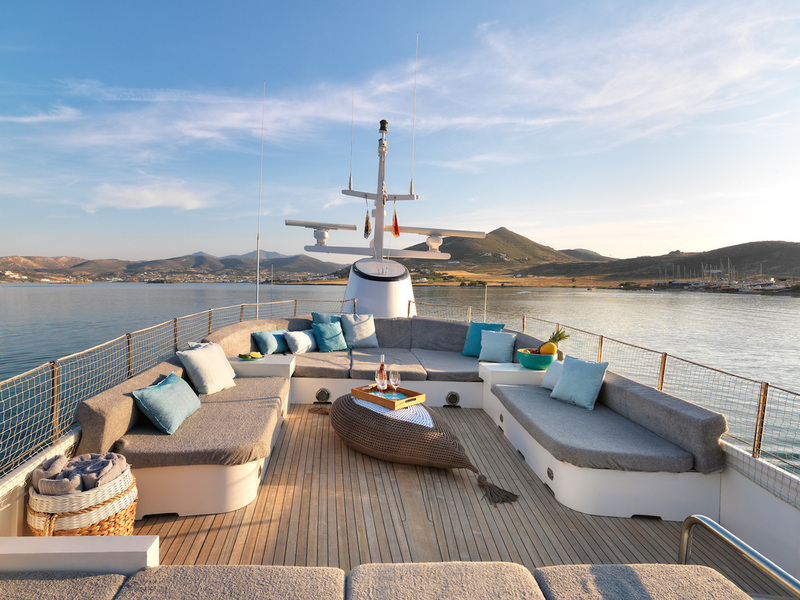 The main deck has a shaded aft area with comfortable seating, side decks wrap around to the foredeck and access to steps leading to a forward sunning area on the second deck. 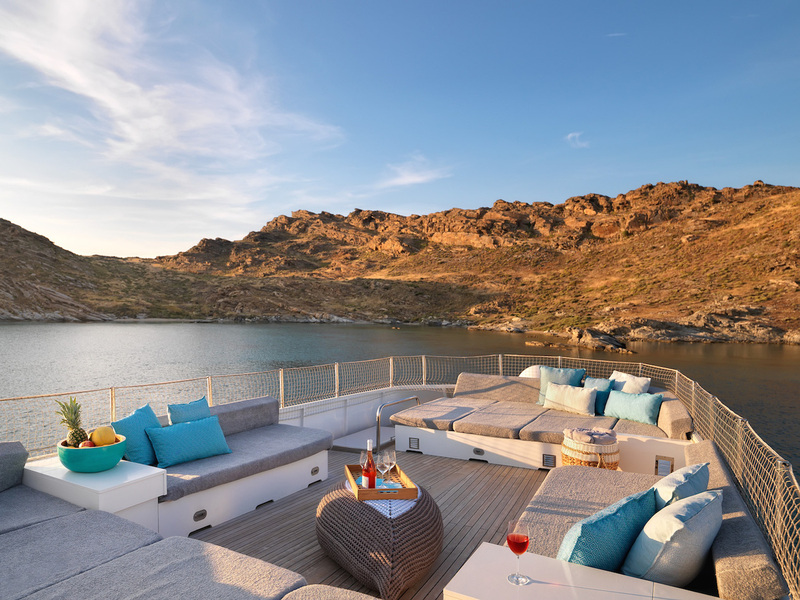 Above, the upper deck is generous offering ample sun pads, lounge seating and spectacular views. 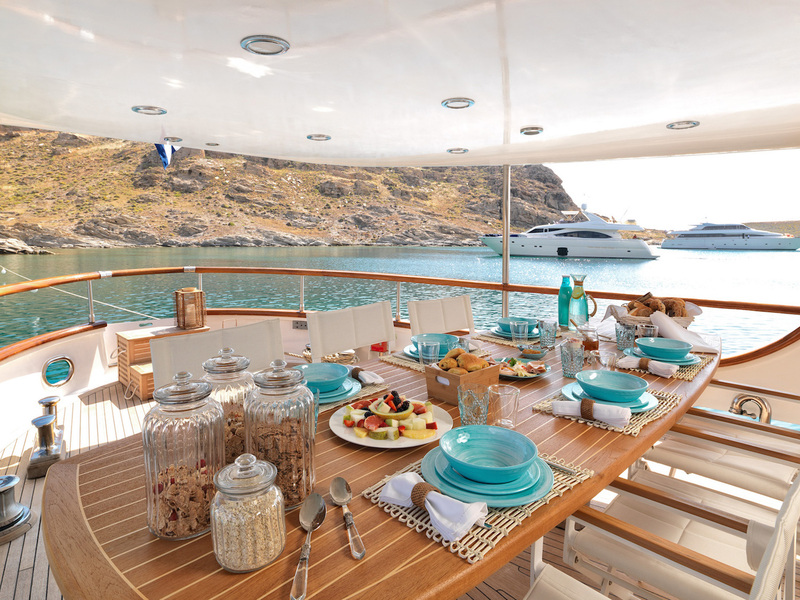 The Benetti yacht offers 4 cabins for up to 8 guests. 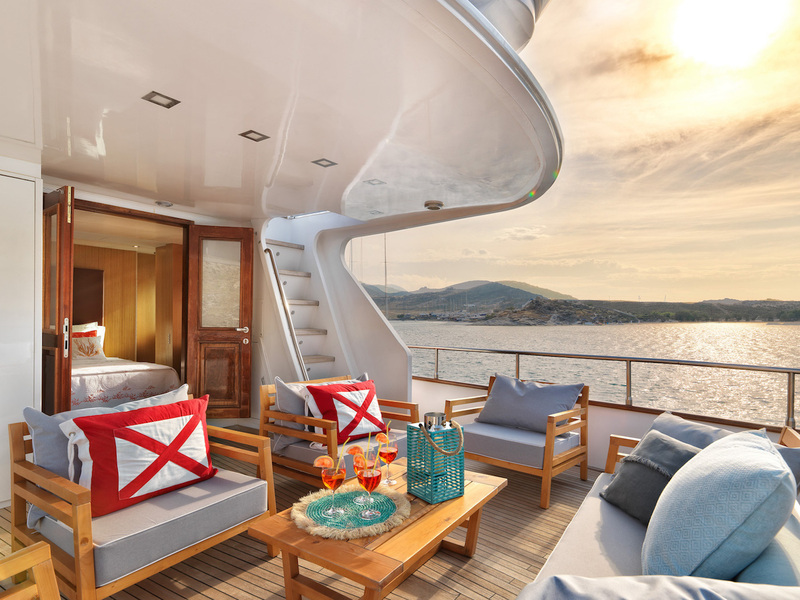 The Master stateroom is on the second level and is the full beam of the yacht with a queen size bed, lounge area, private aft deck with seating and en-suite facilities. 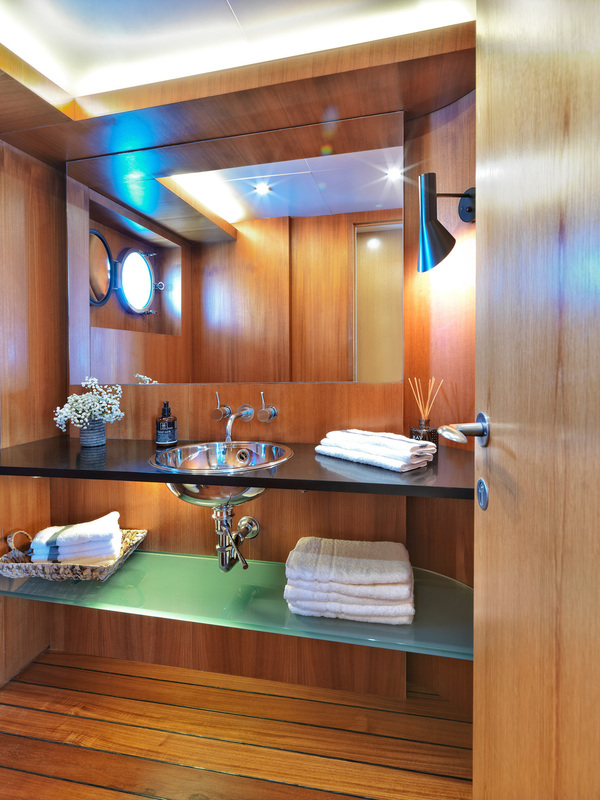 Below decks, a VIP cabin is forward and full beam of the yacht with a queen size bed, walk-in closet and en-suite facilities. 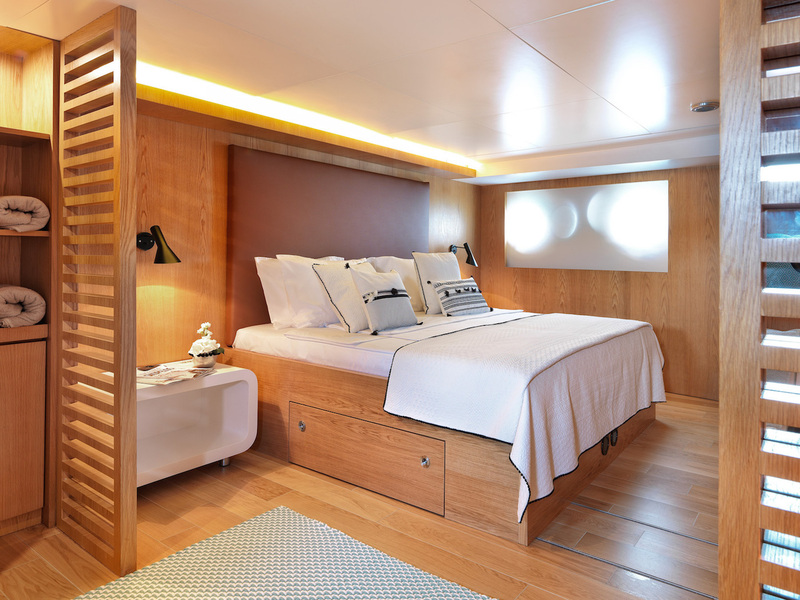 A further 2 guests cabins offer a queen size bed in one and 2 twin beds in the other, both cabins are en-suite. 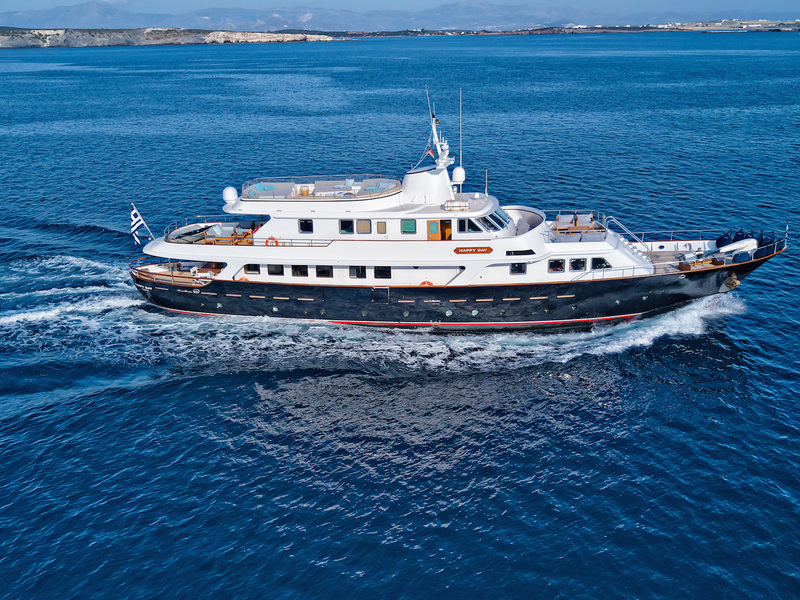 HAPPY DAY has classic lines and an elegant dark blue hull, her beam measures 6.2m (20.3ft) and the draft is 2.8m (9.2ft). 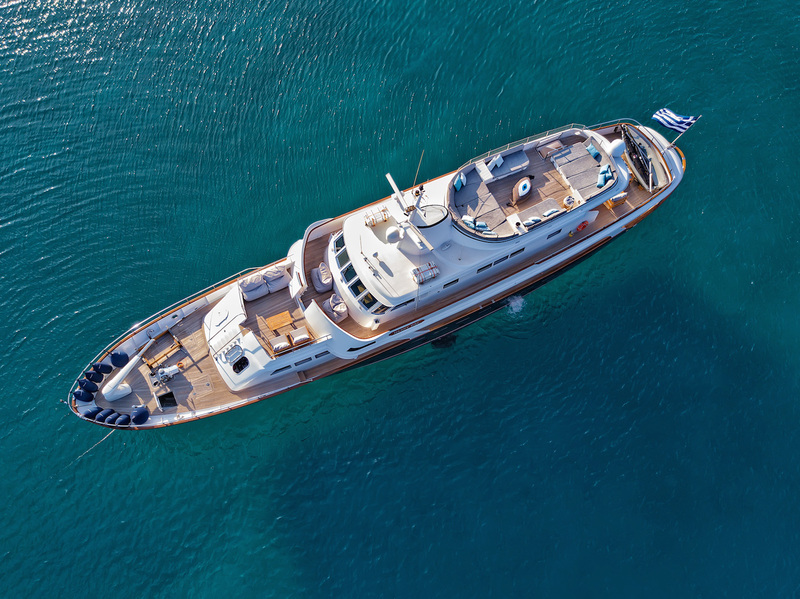 Powered by 2 X Volvo 566HP engines she is capable of cruising at 12 – 13 knots. 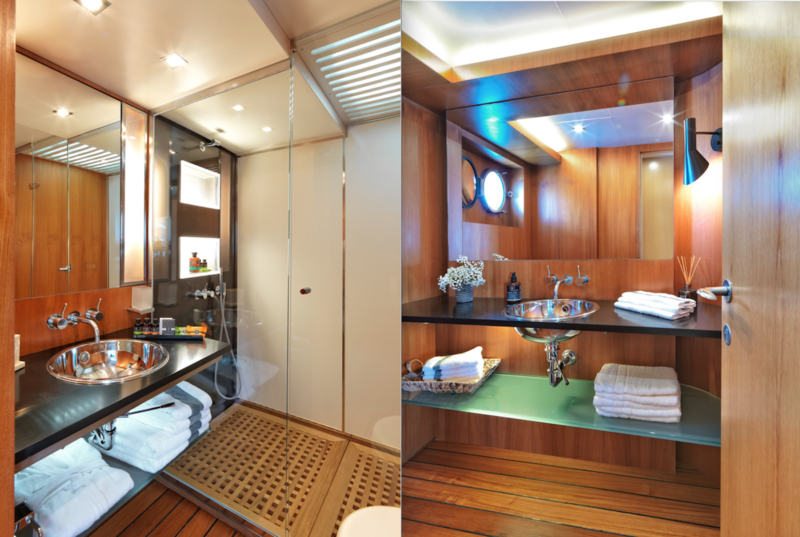 My HAPPY DAY offers 4 en-suite cabins. 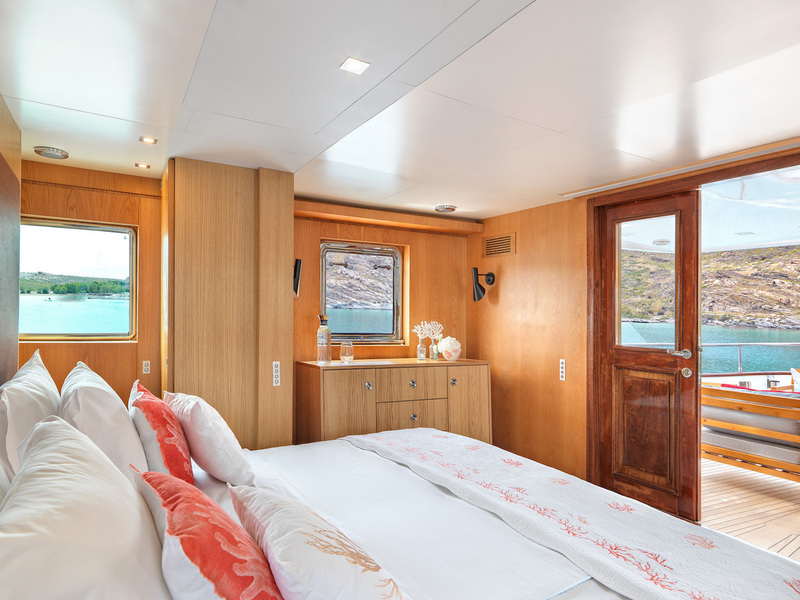 The master is on the upper deck with queen bed, lounge, private deck and en-suite. 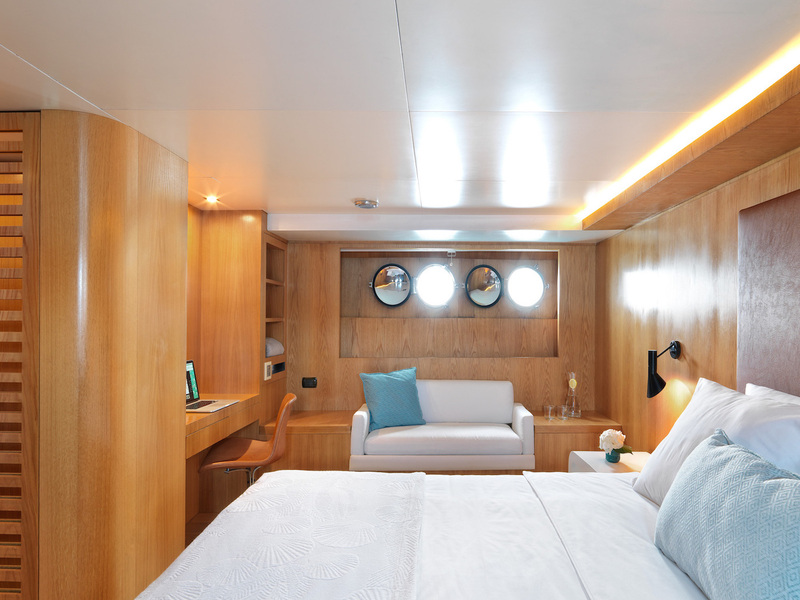 The VIP is below decks forward with queen size bed, walk in closet and en-suite. 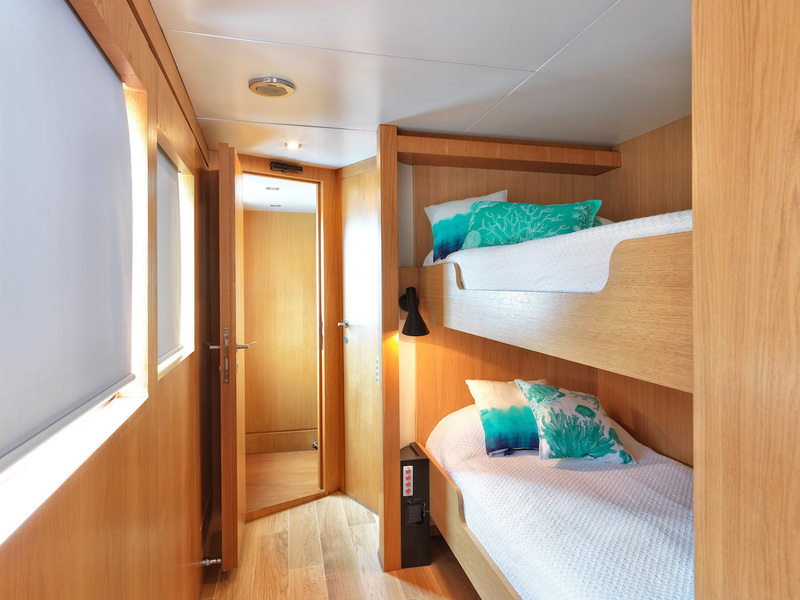 A further double cabin has a queen size bed and en-suite and 1 twin cabin offers 2 single beds and en-suite facilities.